On Thursday 28 June, the management change of Hittech Group took place during a special event organized for this purpose in The Hague. 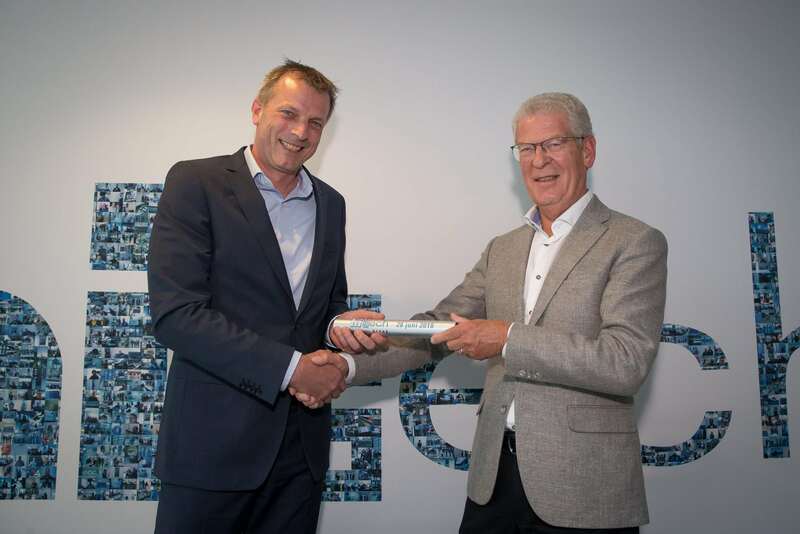 After an inspiring lecture by Martijn Aslander (www.martijnaslander.nl) and in the presence of about 100 guests, Eric Driessen was handed over the baton of Cor Heijwegen, literally and figuratively. July 3rd 2018: Mechatronics & Mechanical Engineering – Hittech director Driessen sees a chance to double the turnover.